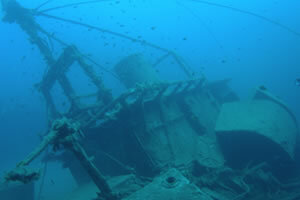 Ever wanted to explore a sunken shipwreck, to swim inside the artificial reef, to look at the machinery once used or to marvel at tragic history? Diving on wrecks is exciting and there are some potential risks too, but with the right training wreck diving will become a great adventure. 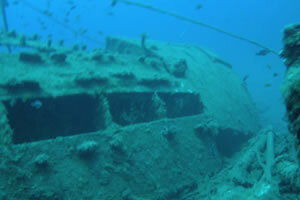 On your 4 dives you will experience the wondrous mystery that surround wrecks and start to gain the knowledge and experience you need to qualify as a PADI Wreck Diver Specialist. *Participants must hold an Adventure Diver rating or equivalent, and be a minimum of 15 years old. If you are not already convinced, this short PADI video will inspire you to get wrecked! 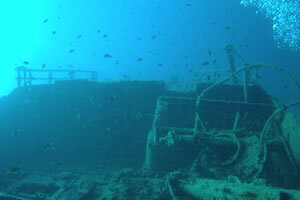 Many of the wrecks around the world can be found in deeper waters. 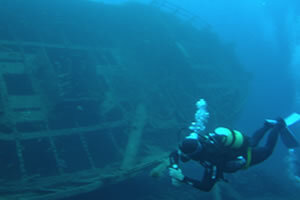 Why not become certified as a PADI Deep Diver?